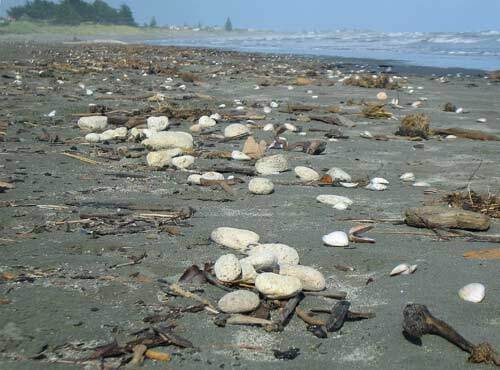 Pumice is common on many North Island beaches. It originates in the volcanic region. Washed down rivers to the sea, it is carried by longshore currents, and cast up on the beach in storms. Ferdinand Hochstetter was the first to realise that pumice was ejected during past volcanic eruptions, some from Lake Taupō.